This is an 8 day time and strike mantle. The handle on top is solid brass. 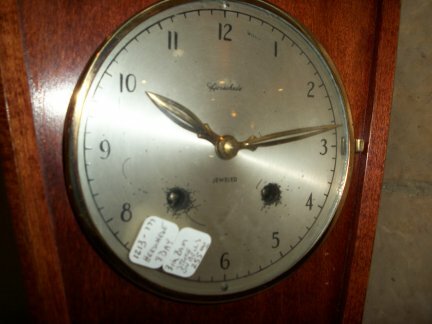 This clock was made by the Herschede clock company manufacturing high quality clocks for about a hundred years in Cincinnati, Ohio. 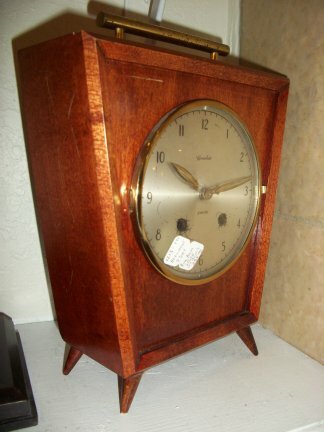 This clock strikes the hour and half hour on a bell. 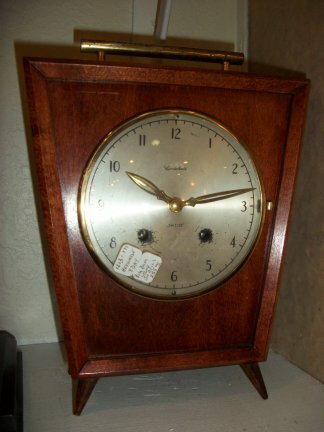 The works has a platform escapement which usually denotes a higher grade clock.